Inspired by the animated film The Snowman and The Snowdog, the trail will feature 1.5 meter tall Snowdog sculptures across Britain’s cities including Sunderland, South Tyneside, Norht Tyneside, Newcastle and Gateshead. The trail will also head to Brighton and Hove during autumn 2016. The public art trails, funded by corporate sponsors from around the respective region, will see Snowdog sculptures decorated by well-known and talented local artists. 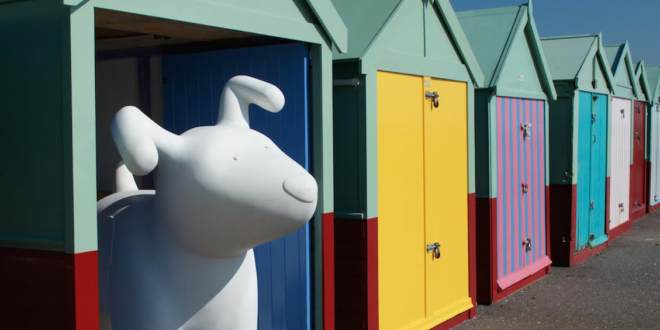 ‘The Great North Snowdogs’ event is being co-ordinated by St. Oswald’s Hospice, and Snowdogs by the Sea in Brighton and Hove, by Martlets Hospice. The sculptures will be put up for auction at the end of 2016 in order to help raise money for St Oswald’s Hospice and the Martlets Hospice. 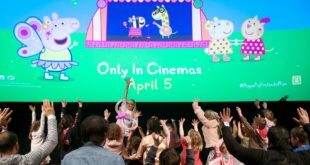 Charlie Langhorne, director of Wild in Art, said: “We are delighted to be working with Snowdog Enterprises to bring the much-loved Snowdog character to life through a 3D canvas, complete with mismatching socks for ears. Damian Treece, brand manager at Penguin Ventures, owners of Snowdog Enterprises, added: “we have been hugely impressed by Wild in Art’s previous projects and it was a great ambition of ours to work in collaboration with them on The Snowman and The Snowdog brand.